AGRO.VI.M. s.a. located in kalamata-Greece was established in 1994 but has its origin to Gyfteas companies first founded in 1964. The combination of resources and experience enabled the new company to meet the challenges of the rapidly expanding world market. The company processes and packs a variety of agricultural products. 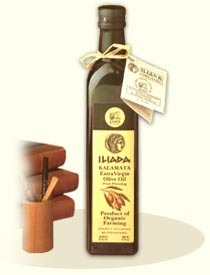 These include, Kalamata Extra Virgin olive oil (PDO-Protected Designation of Origin), Organic Extra Virgin Olive Olive Oil, Kalamata olives and other types in retail jars and in barrels, Organic Kalamata Olives, Kalamata Olive paste, Blends of Olive oil with vinegars and lemon juice, Gift basket items, Dried figs in retail packs and Mediterranean Gourmet Food products. The focus is on exporting own name and private brands to the USA,Canada,Great Britain,France,Austria,Australia,the Middle East, South Africa, Japan and to most EU, as well as to some east Europen countries. 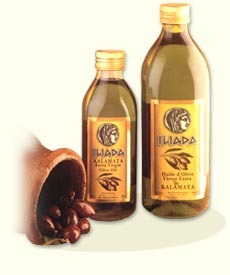 ILIADA is our flagship brand both for Olive oil and Olives. AGRO.VI.M s.a. has modern facilities which incorporate quality control procedures certified to ISO9002 standards. The company is a sought after supplier of Greek products to major international customers placing it in the forefront of the very competitive global environment in which it operates. Over the last decade, the company has demonstrated a remarkable ability to develop and broaden its exporting horizons. Its impressive list of foreign customers bare witness to this fact.